A new, groundbreaking study shows that nearly 4 million people with mental illnesses who are uninsured reside in the 25 states that have refused to participate in the Medicaid Expansion program under the Affordable Care Act (ACA). Many of these individuals have severe mental health conditions and currently have no health insurance coverage through any public or private plan, but will be denied the opportunity to obtain coverage for treatment since those states have refused to participate. 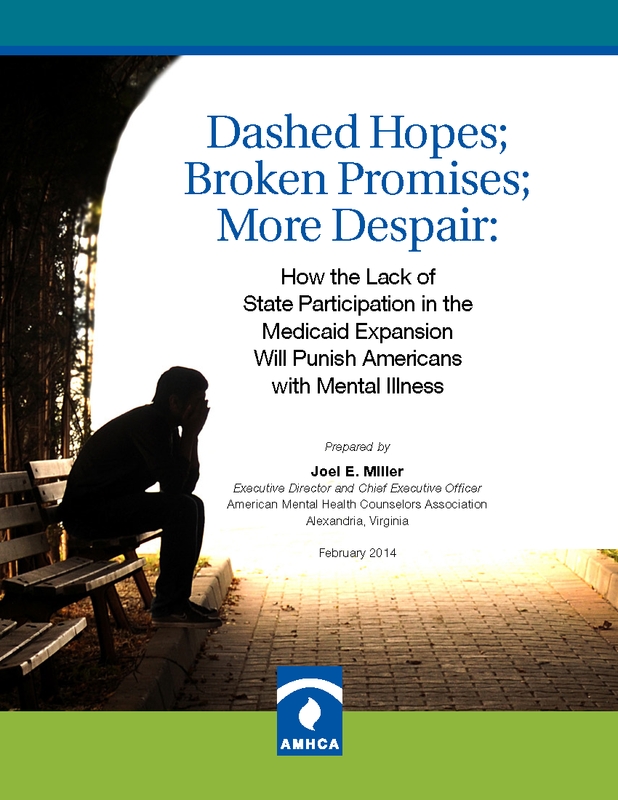 States declining Medicaid Expansion represent 55 percent of all uninsured people with major mental health disorders who are eligible for coverage in the new health insurance access initiative. 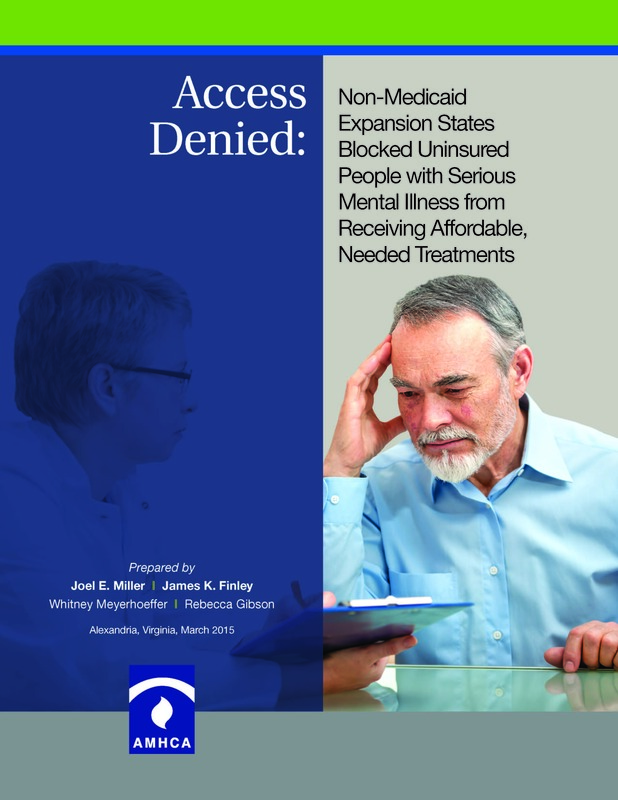 A new groundbreaking study from the American Mental Health Counselors Association (AMHCA) shows that nearly 570,000 people diagnosed with a serious mental health condition, would have received affordable, needed treatments, but were denied access to services because several states refused to participate in the new Medicaid Expansion Program. The federal government would have paid 100 percent of the treatment costs; the monies were already included in the federal budget. The comprehensive study also highlights that 458,000 fewer people would have avoided a depressive disorder mainly by securing health insurance through the Medicaid Expansion Program.